The award-winning experts at Clarke Basement Systems are uniquely equipped to help with your home's foundation problems. We have over a decade of experience improving our customers' homes with foundation solutions that increase home value and appearance and eliminate safety hazards. All of our patented foundation repair solutions are custom designed for your home. Our team of foundation specialists are fully trained to carry out work needed throughout Greater Toronto. We are a knowledgeable local dealer that provides these proven products for your home's foundation needs. 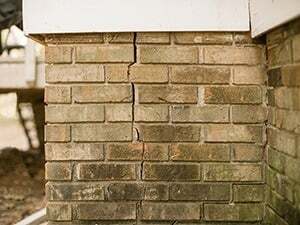 If you're ready to find a solution to your foundation issues, give us a call at 1-844-225-6185 or click below to schedule a professional inspection with one of our foundation repair experts. You don't have to live with stressful foundation problems. Clarke Basement Systems will conduct a thorough inspection of your home, and we'll let you know exactly what steps need to be taken to permanently stabilize your foundation -- restoring value to your greatest investment. Contact us today to request your free foundation repair estimate in Brampton, Vaughan, Oshawa, Richmond Hill, Barrie, Peterborough, Newmarket or nearby.